Seems Lil Wayne and Birdman are finally putting their issues aside. Weezy was spotted at Birdman’s album release party last weekend chopping it up with his former mentor. 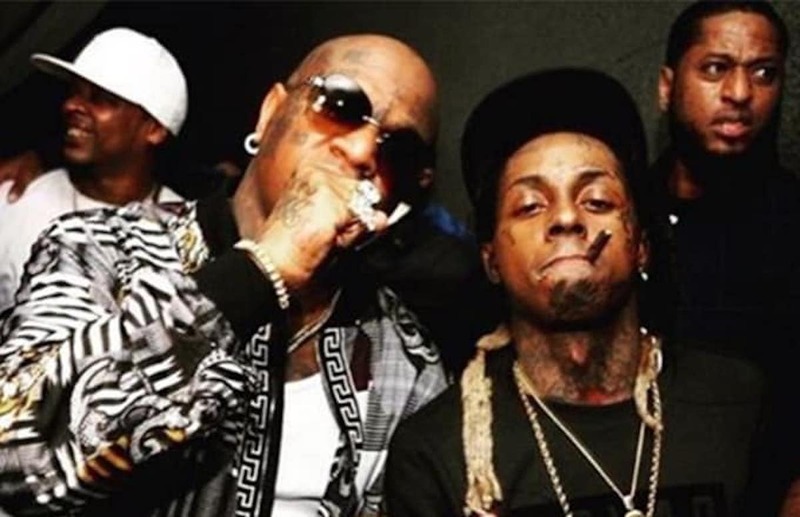 The Cash Money honcho held an album launch party at Studio 23 nightclub on Saturday night for the soundtrack for the recently released Cash Money documentary, “Before Anythang.” This is the third time that Lil Wayne and Birdman were spotted out together in the past two weeks. The pair were first spotted together on March 26th at Liv nightclub in Miami, which is the first clear sign this year that they are working out their differences. Wayne still got that $51 million lawsuit intact and there is no indication that he will drop the suit anytime soon. Perhaps they are working on reaching a deal behind the scenes, but don’t hold your breath because they also reunited at the top of last year and we all thought that they would eventually work things out then, but they didn’t. Despite his support of Birdman at his album launch last weekend, Lil Wayne is not featured on the project. The album is supposedly a compilation of the many talents that pass through Cash Money Records over the many years of the label’s existence. Perhaps the legal troubles between the two sides prevented Wayne from adding his voice to the album. In one photo that has been circulating online, you can see Lil Wayne standing next to Birdman with a blunt in his mouth and his Styrofoam cup in hand. In order for them to bury the hatchet once and for all, Birdman will likely have to fork over some dough to Weezy’s bank account. Maybe not the $51 million that Wayne says he is owed, but some deal must be either in the works or already reached. Let’s hope this peace between two legends is permanent. On a side note, Birdman promises fans once again the the long-awaited album The Carter V is coming this year.